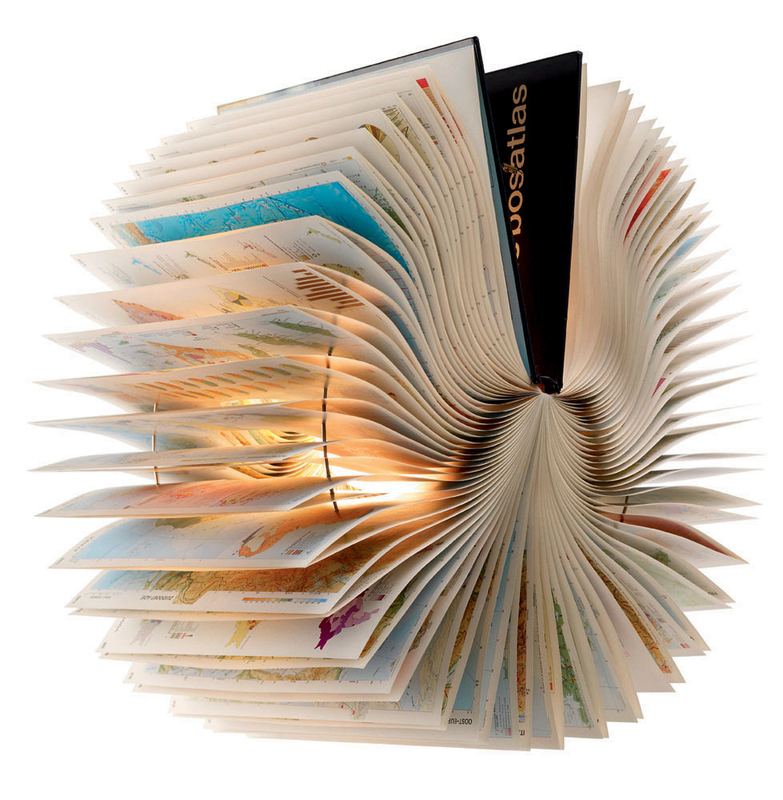 542w" sizes="(max-width: 406px) 100vw, 406px" />The Atlas book lamp has been created out of a real used Atlas book. 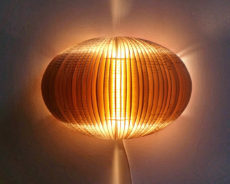 The lamp is made to be used with an energy saving light bulb, therefore there is no risk of fire and it is also environment friendly. 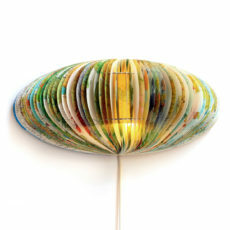 w 50 cm x d 40 cm x h 50 cm. 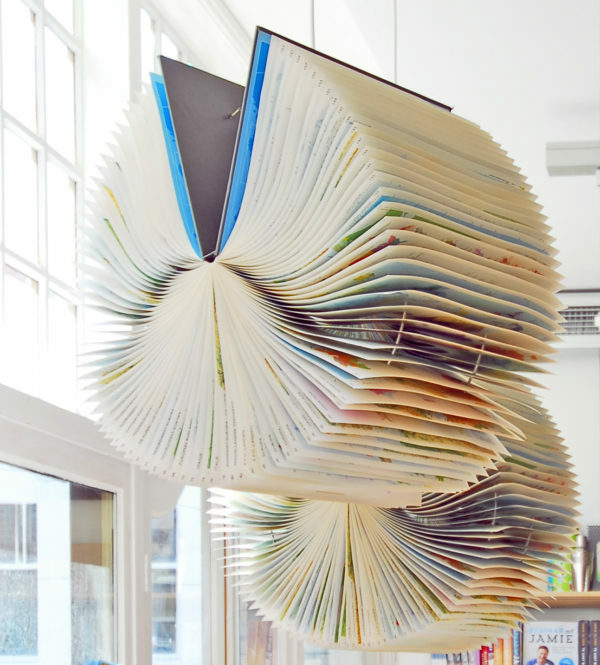 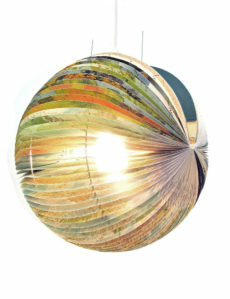 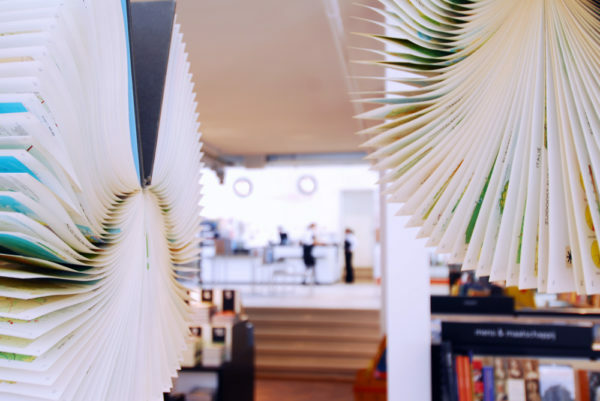 The Equinox wall booklamp is made from a recycled world atlas. 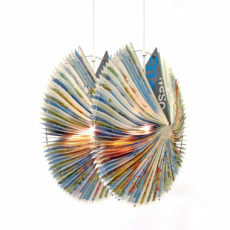 It can be used as a wall lamp or as a table lamp.